Jim Dolan reports from the Fordham section of the Bronx on the death of Officer Miosotis Familia. 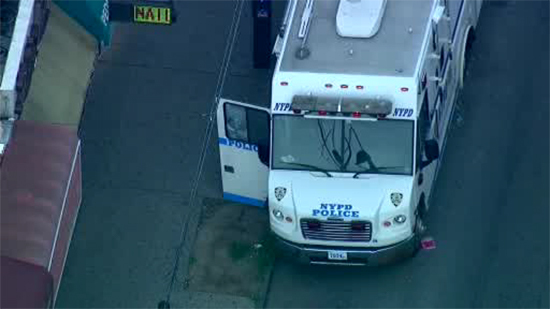 TREMONT, Bronx (WABC) -- An NYPD officer died after being shot while in a patrol vehicle in the Tremont section of the Bronx early Wednesday. The female officer was shot while in the vehicle parked at the intersection of East 183rd Street and Morris Avenue, just after 12:30 a.m.
She has been identified as 48-year-old Officer Miosotis Familia. Later Wednesday, her family and friends stood in the Bronx at a vigil as they heard prayers and leaned on one another. It was an unsteady brace against a torrent of grief. They tried to find strength there, but the burden is great. "He took the life of a person who was great, and he didn't even know how great she was," said Officer Jay Rodriguez, a correction officer. A gunman walked up to the vehicle, positioned in the neighborhood in response to a recent shooting, and opened fire. Police sources told ABC News surveillance video recovered by the NYPD shows the suspect "purposefully" walking up to the command unit and opening fire through the passenger side window. Officer Familia was writing in her memo book at the time,indicating she may not have seen the gunman coming. The officer was taken to St Barnabas Hospital, where she later died. While her partner radioed for help, other officers ran outside and spotted the suspected gunman running about a block away. 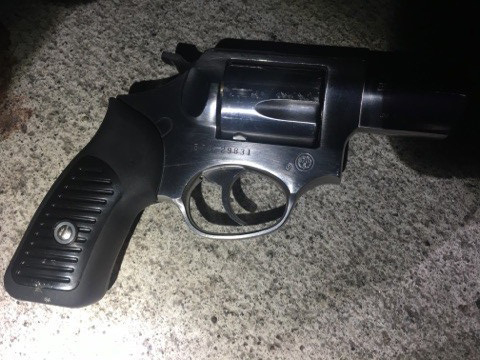 The suspect drew a revolver and the officers fatally shot him. He has been identified as 34-year-old Alexander Bonds. During the exchange of gunfire between the suspect and officers a civilian was hit and has a non-life threatening injury. Officer Familia was assigned to the 46th Precinct's Anti Crime unit. "Based on what we know right now, it is clear this was an unprovoked attack on police officers who are assigned to keep the people of this great city safe," NYPD Commissioner James O'Neill said. NYPD Commissioner James O'Neill gave an update on the shooting of an NYPD officer. The body of Officer Familia was taken to the medical examiner's office. Authorities say Bonds is a career criminal who was on parole for a 2013 robbery in Syracuse and had been arrested for a previous attack on a police officer using brass knuckles. Former NYPD Commissioner Ray Kelly speaks on the shooting that resulted in the death of an NYPD officer.